A unique mini one of kind gift to send to your favourite Toronto Maple Leafs Hockey Fan. 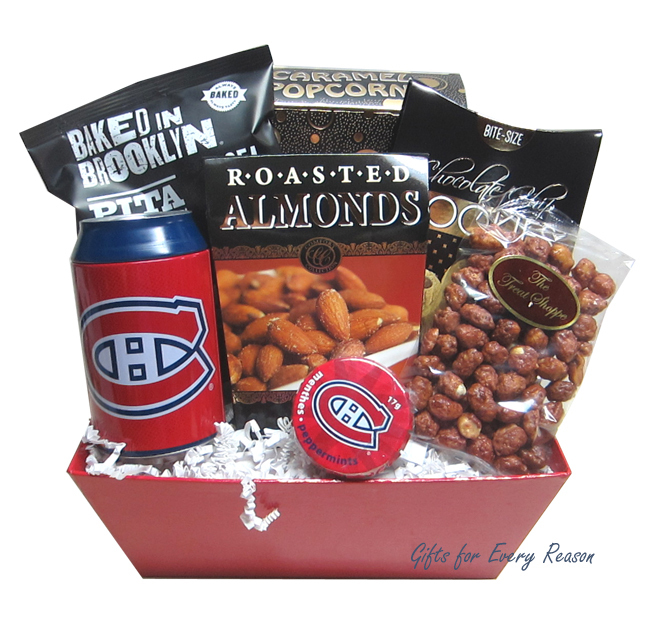 Approx Size: 8"x 6"x 18"
Enjoy the munchies during the next NHL game, and then show off the collector items! Wrapped in cellophane with elegant ribbons, hand crafted bow and a note card with your message.